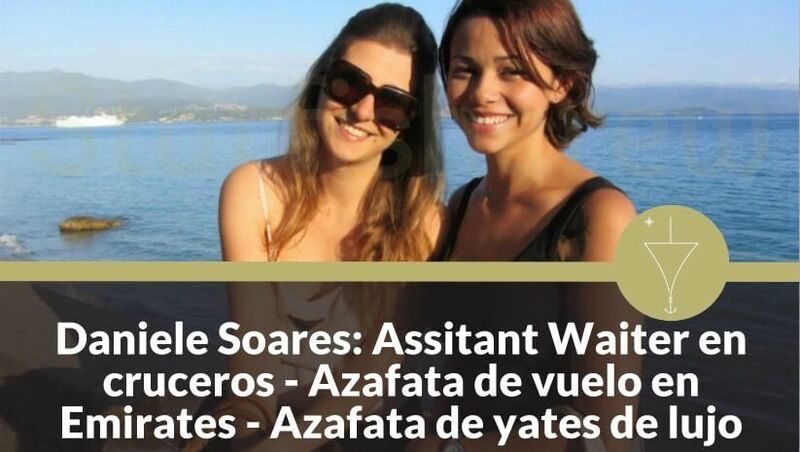 Daniele Soares es una brillante chica brasileña de 30 años que lleva casi cinco años trabajando en yates de lujo. 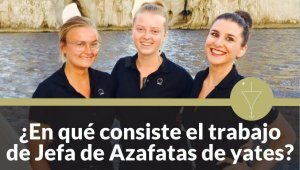 Primero trabajó en cruceros, después como Azafata de vuelo en Emirates para finalizar trabajando en yates. Tuve la suerte de trabajar con ella cuando justo acababa de empezar su carrera como Azafata de yates. ¡Yo aún ni siquiera era Jefa de Azafatas! 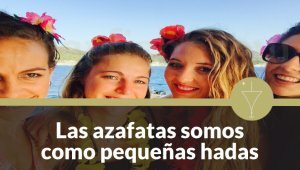 Era la Segunda Azafata de un yate charter de 60 metros de eslora. Trabajamos juntas durante toda una temporada del Mediterráneo. Fue durísima. Tanto física como mentalmente. 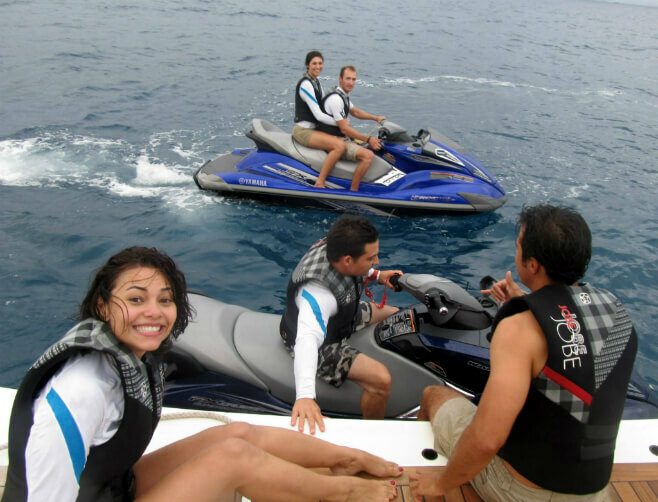 Tuvimos muchos charter, con viajes del dueño del yate entremedias. No teníamos tiempo ni para respirar. Trabajamos día y noche durante toda la temporada y terminamos totalmente agotadas. Sin embargo, todo tiene su recompensa. Fue al terminar esa temporada cuando pude comprar mi primer piso. Gracias a mi generoso salario y cuantiosas propinas que habíamos ganado durante esos meses, logré comprar mi primera propiedad totalmente libre de cargas. ¡Nunca me tendría que preocupar de cómo pagar la hipoteca! Era totalmente mía, sólo mía y no me podía sentir más orgullosa de mí misma en aquel momento. También hubo muy buenos momentos durante esa temporada y guardo muy buen recuerdo de mis compañeros. ¡Espero que su bonita historia te hipnotice tanto como a mí! Years ago, back when we worked together, I remember you telling us how you decided you had to learn English to pursuit your dream and work as a flight attendant. You basically taught yourself, with very little help. Please tell us a bit more about that time in your life and when you decided you were leaving Brasil to start a new life. I knew I wanted to travel the world since I was little. I also knew I wouldn’t be able to do that on holidays because I would never have the money. So when I was in College, I met one of my classmates, who had worked in cruise ships before. I waited until I was 21 and applied for a job as Assistant Waiter with Royal Carribean. 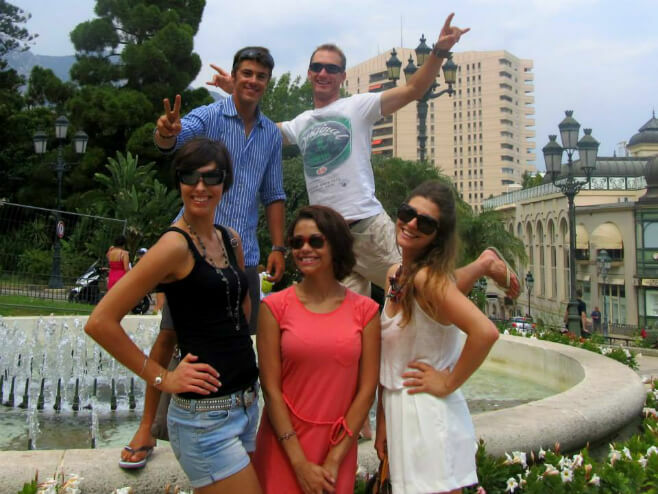 During the six months I was working onboard my English improved and I met lots of new friends. Amongst them, a girl whose dream was to work as a flight attendant for Emirates. We both went back to Sao Paulo at the end of our contract and it was then when she encouraged me to attend one of the company’s open days. I went without much preparation, but ended up passing the 3 days interview process. It was roughly 120 candidates and only 7 got the job! How do you remember your time as a flight attendant and when did you decide you wanted to change and work on Superyachts? Moving to Dubai was a dream! Everything was so exciting and new! I got to travel to all the countries that I had only seen on books before and met the most incredible people. One of those people was a Superyacht Chef. He was the one telling me about the yachting industry. By that point, I had been working on Emirates for almost 3 years and I thought I could use a change. I researched about working on superyachts online and all I needed was my ENG1, as I already had my STCW from my cruise ship days. I found a doctor in Dubai and got my ENG1 done there and then. When I got to Antibes I had everything I needed to start looking for jobs. I didn’t know anyone in the industry so I thought that was my best chance. I dockwalked for two weeks every single day and in every port in the South of France. Finally, I was lucky enough to find my first job on a superyacht in such a short time. 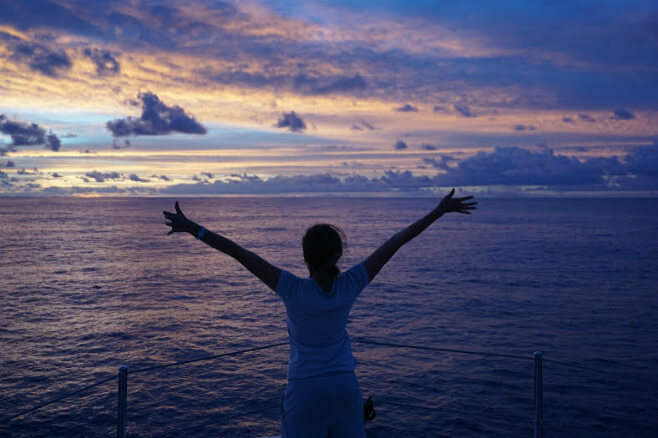 What’s your best memory as a yacht stewardess? First one can seem pretty vain but it was when I got my first charter tip and was able to walk into Louis Vouitton and buy a handbag! Never thought I would be able to afford that! Second, when I met my biggest idol. She charted our yacht for ten days. I think my worst memory is when my Chief Stewardess found me under the ironing board, crying and with clothes all over the floor. I didnt think I could do it. But I did it, came back and still enjoying working on yachts! Your partner is a yacht Officer. 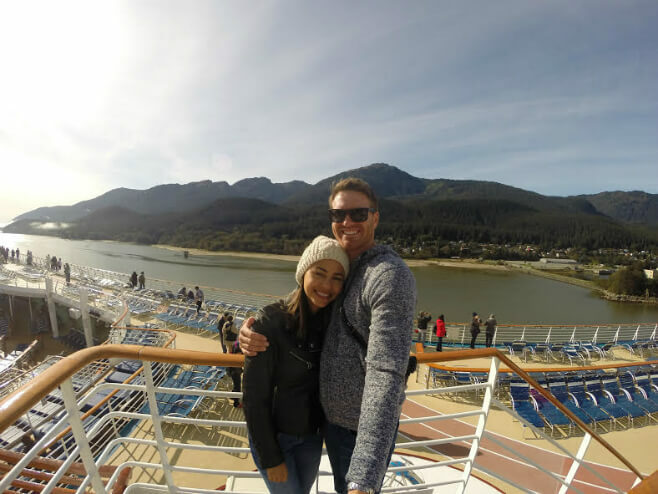 How do you feel about sharing the rest of your life with a man that will spend a lot of time a year away from home? We are each others best friend and we tell each other everything. Our plan is that he gets a rotational position (2 months on: 2 months off) so at least the half of the year he is at home, he will be 100% present. Do you think you will keep working on yachts for a very long time or you can see the end of your yachting career soon-ish? I would say I will stay another 2 years. Maybe a bit longer, but I am looking forward to having a house and not carrying everything I own in a suitcase all the time. After almost 6 years working on yachts, how do you imagine your life off yachts? As you very well know yourself! Going back to “real life” is a big adjustment. But I really can’t wait to have my own house and decorate it all. What do you have to say to all those people who think they’ll never be as “lucky” as you’ve been, get an amazing job and get paid lots of money for it? “Success happens when preparation meets luck”. If you want something, you just need to make sure you are ready, prepare yourself as best as you can, learn as much as you can and go after it. ¿Qué te parece la historia de Daniele? A mí, sinceramente, me parece una de las personas más interesantes que he conocido en todos estos años de carrera en yates. 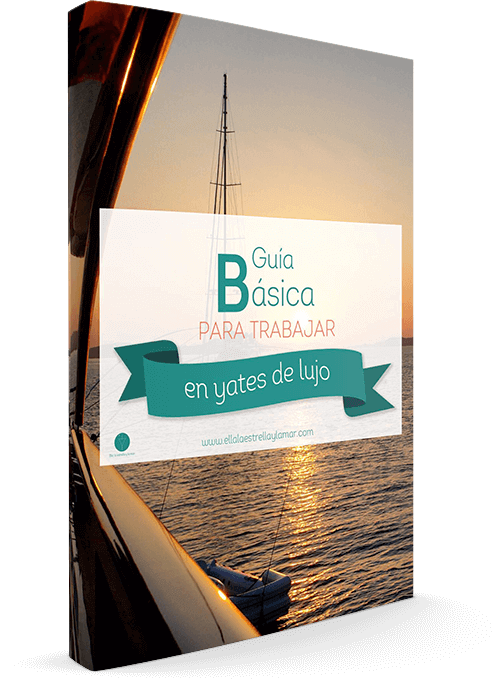 Trabajó muy duro, consiguió su trabajo ideal y a alguien con quien comparte su trabajo en yates, viajes y vida. ¿A ti también te gustaría poder decir lo mismo?